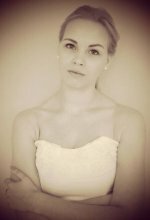 Laura recently acquired her Bachelor’s Degree in Academic Singing from Jāzeps Vītols Latvian Academy of Music, where she studied with docent Zigrīda Krīgere. She has participated in numerous productions of JVLMA Opera Studio Figaro, performing the roles of the Cat in the Wolff’s musical Blue Bird, Witch in Humperdinck’s Hansel and Gretel, Nedda in Leoncavallo’s Il pagliacci, amongst others. At JVLMA Laura performed the soprano part in Donizetti’s Requiem together with the JVLMA Symphonic Orchestra and Choir under the artistic leadership of Azerbaijani conductor Yalchin Adigezalov. Laura has performed with the Latvian National Opera Orchestra, Brass Orchestra of the University of Latvia and Liepāja Symphony Orchestra in Finland, Lithuania and across Latvia. She has participated in masterclasses of Joy Mammen, Tamara Novichenko, Axel Everaert and Andreas Baumann. Laura has successfully participated in several international vocal competitions – in 2013 she received a diploma in Stanislaw Moniuszko Open Competition “The Ubel Swallow” in Minsk (Belarus), in 2014 she became the semi-finalist and received the Luciano Pavarotti Special Prize at the Gian Battista Viotti International Opera Singing Competition in Vercelli (Italy).